Before you see this article, I think you've already learned about iKuun i80 with MELO 4 Kit. It doesn't matter if you haven't known it before. 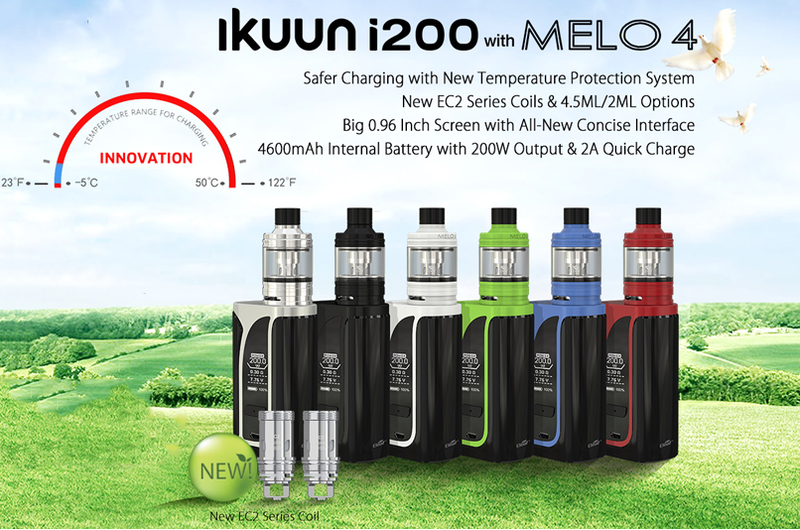 Today I'd like to introduce iKuun i200 with MELO 4 Kit. The kit mainly consists of two parts. They are iKuun i200 and MELO 4 tank. 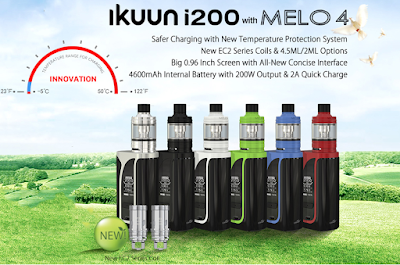 The iKuun i200 with MELO 4 Kit is a super version of the iKuun i80 with MELO 4 Kit. The Eleaf iKuun i200 is a 4600mAh built-in sustainable battery. Its maximum output power is 200W, which produces a huge vapor. The mod can provide you with a perfect vaping experience for a long time. The Eleaf iKuun i200 has an innovative temperature protection system that ensures the safety of the charging process. It also provides dual circuit protection function, so it is safe and you can use it safely. It has a large 0.91 inch screen, and you can see the battery data easily and clearly. It has a compact size and a large hidden fire button that is easy to operate. The Eleaf iKuun i200 supports 2A fast charging, so you don't have to worry about power when you're vaping. Moreover, it supports firmware upgrades, and you can always use the latest iKuun i200. The structures of MELO 4 tank are detachable for easy cleaning and maintenance. It has a top filling system, and you can easily add liquid. Moreover, it has two optional E-juice capacity for you to choose, 2 ml with 22 mm diameter and 4 ml with 25 mm diameter, both of which perfectly match the iKuun i200 Mod. Finally, there are six colors for you to choose. There's always one for you, and I'm sure you'll like the Eleaf iKuun i200 with MELO 4 Kit.